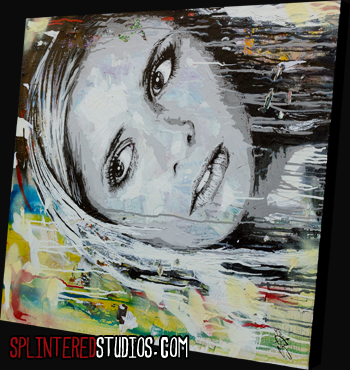 Original painting of Sarah Michelle Gellar as Buffy The Vampire Slayer. 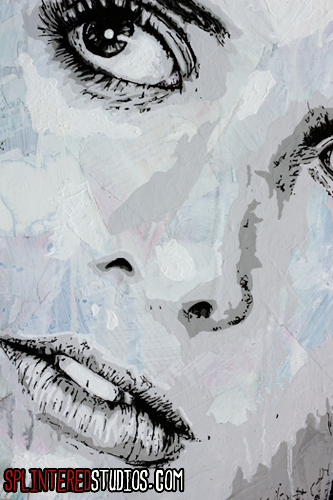 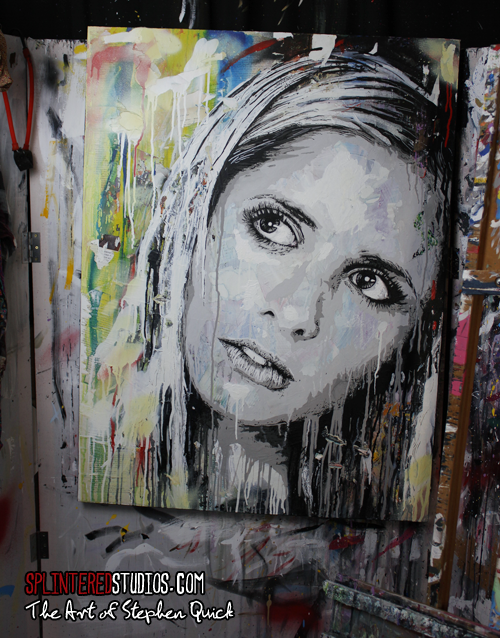 The painting depicts a pop art portrait of Buffy staring up in the air, Sarah's face painted in all monotones and opaque whites. 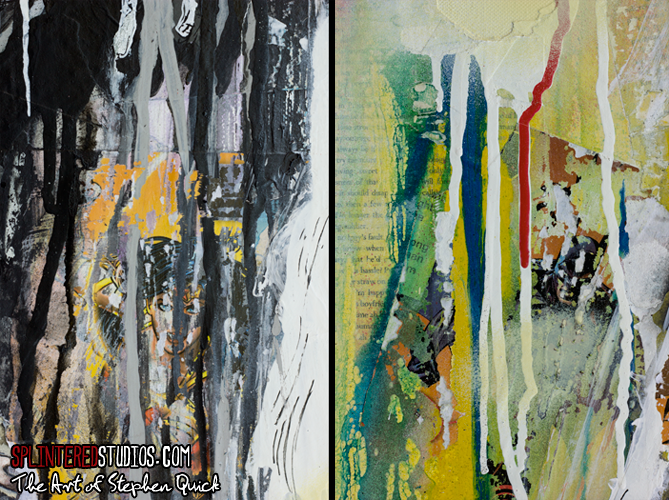 The painting on a collage background of Trainspotting novel pages and comic book pages, painted in acrylic,ink, latex and spray paint, all roughed up and torn away to give lots of texture and interest..